Ben Kavuya commonly referred to as Chairman is the founder member of Legacy Group. 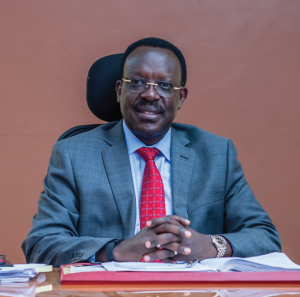 He is responsible for overseeing the development of Rutungu Investments from a small start-up business with a few employees to a multi-million empire as it stands today. His reputation is one of his greatest assets. He is well known for his entrepreneurialism and foresight, and for his ethical behaviour, generosity and integrity. He is passionate about making a difference in society and has hence set up a number of projects under Legacy CSR’s programmes to make sure he makes a difference in society. We take tremendous pride in the Legacy our founder built and is still building, and the history, values and reputation that he represents.